IMPORTANT: We cannot ship this item to the Alaska, New York, Massachusetts, Arkansas, Hawaii & Washington DC due to the laws in those states. When going away to college and preparing your dorm essentials, you need to think of dorm safety and dorm security. When you think of dorm security, you probably automatically think of keeping your valuable jewelry and dorm laptop in your dorm room and not in the one down the hall. However, when you think of dorm security and dorm safety, you also need to think of yourself. Most importantly, you need to think of yourself. One of the best ways to protect yourself? By adding our Pepper Spray and Drink Test Kit to your college supplies! This dorm essentials kit contains Police Strength Maximum Heat Pepper Spray as well as a Drink Test Kit with 10 drink tests. The pepper spray in this college supplies kit has a durable key case with finger grip and includes a bonus quick release key ring. That means if your keys are in the ignition of your car or in a lock, you will be able to quickly release the pepper spray from your keys when in need. 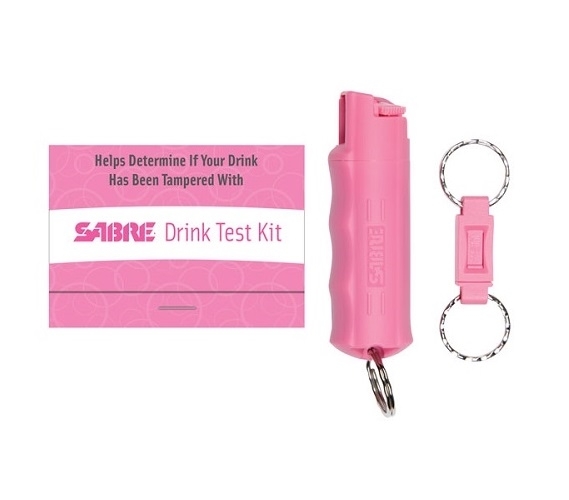 Along with this dorm essentials kit you will have a booklet of Drink Test Kits. 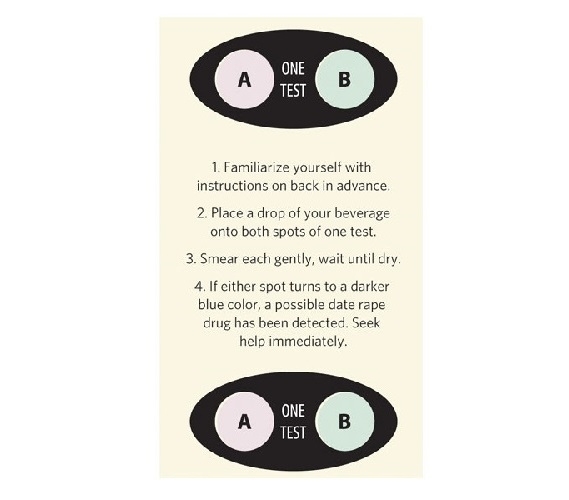 The booklet contains 10 drink tests with two drink tests per page. Simply place some drops of the beverage on the circles and if they turn darker blue, they have detected the presence of Ketamine or GHB and you should seek help immediately. 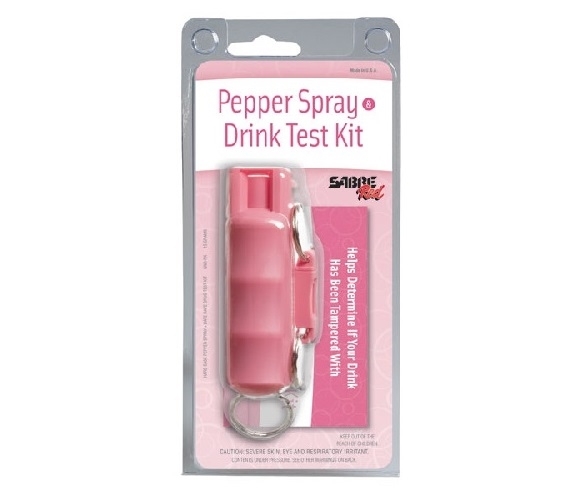 Don't only be concerned with the dorm security of your valuables - take care of yourself while at college and have dorm items like our Pepper Spray and Drink Test Kit as part of your college supplies!